While it was heartening to see jubilant celebrations of Sindh Culture Day on December 4, a single decision by the Government of Sindh dented the celebrations in an irreparable manner. One would agree with the decision to officially celebrate the day, but announcing a public holiday thereafter seemed a step too far. It is a question we should at least ask ourselves. As far as Karachi is concerned, Sindh Culture Day will undoubtedly help foster closer ties between the different ethnic groups living in this economic powerhouse of a city. I do not think anyone who lives in Karachi will doubt this fact. 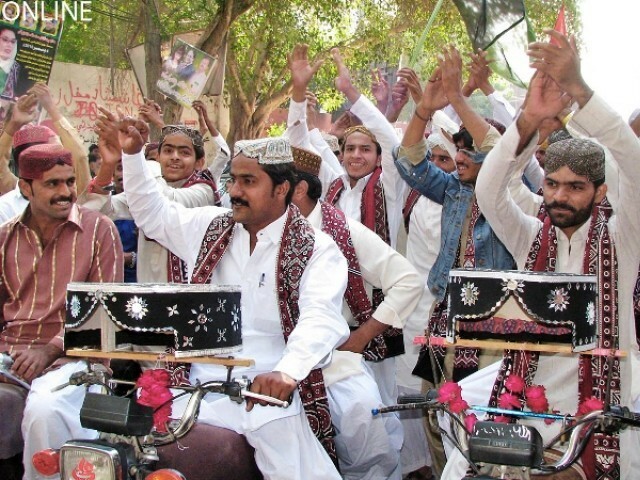 Sindhi culture is thousands of years old and I take pride in it; in fact, we should all be proud of being a part of it. When the day was celebrated for the first time in 2009, we wore Sindhi caps and Ajraks to show solidarity with the day. Hundreds of motorcycles and cars with flags of different political parties dotted the roads of Karachi. It was also good to see the party workers of three mainstream political parties of Sindh, the Pakistan Peoples Party, Muttahida Qaumi Movement and Awami National Party, celebrating the day alongside nationalist parties. With a weak education system and one of the lowest literacy rates in the world we already lag behind in this fast-paced modern age. Even our neighbouring South Asian countries are progressing faster and strengthening their economies while gradually investing in their education systems. In this scenario, to give a day off in educational institutions did not seem fitting at all. We are proud of our culture and our past, as we should be – but we cannot celebrate this fact at the cost of education, and, by extension of our future.